Call Us at 979-412-3624 to get started today! C&C Lawn and Irrigation is owned by Chris Cash, a native to the Bryan and College Station, Texas area. 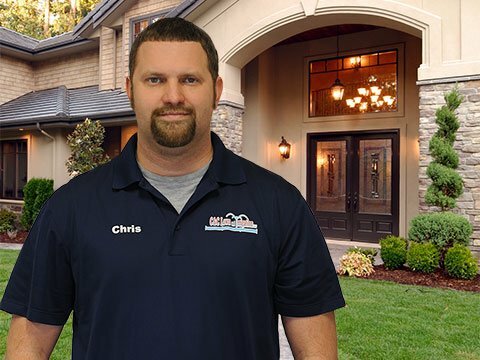 Chris is a very hands-on owner who has a passion for lawn maintenance and landscaping. Our irrigation and landscaping company has been serving individuals and businesses in the Brazos Valley since the year 2000. We have the expertise for mowing lawns, landscaping, installing sprinkler systems, and performing other jobs related to the lawn maintenance business. We have been asked, “What is a full service company?” That simply means we do not have to hire different contractors to mow your yard and another contractor to install a sprinkler system and another contractor to work with concrete and so on. We have the staff, the expertise, and are licensed by the State of Texas to perform the services we offer. Don’t trust your yard to anyone with a mower and a cheap price. We can offer you a lot more for the money because we know what we are doing. An inexperienced landscaper may not be aware of proper plant selection, soil type, and other important design elements for successful landscaping and leave you with problems that need to be addressed by someone more experienced. Our 15 years of experience can give you peace of mind when making your selection for a landscaper or lawn maintenance company. Having your yard on contract with us will show you how easy it is to keep your yard looking great at a reasonable price where quality matters. For New clients: Request a FREE appointment with C&C Lawn and Irrigation. For Current clients: Send us an e-mail and let us know how we can help you. C&C Lawn and Irrigation is fully insured. To protect our clients, we carry a 2 million dollar policy that is up to date at all times. Our policy is available upon request for our clients at any time. Our specialist are ready to help you put together a landscape plan that works for you and your budget. 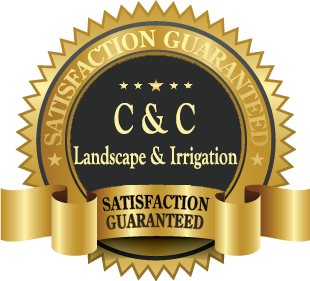 Whether you need fertilization and weed control or an irrigation system installation we have you covered with a satisfaction guarantee that you are pleased with our work or we make it right. Copyright© 2018. C & C Lawn & Irrigation. ALL RIGHTS RESERVED. Designed by Lawn Care Marketing Mechanic.